Some of the phones see a discount of a maximum of Rs 1,000 and various EMI offers. Asus and Flipkart are back again with a sale on the ZenFone Max Pro M1, ZenFone 5Z, ZenFone Max M1 and ZenFone Lite L1. But this time, Asus is adding the Zenfone Max Pro M2 and Zenfone Max M2 to the sale. The earlier sale took place from 26 December to 29 December for the Mobiles Bonanza Sale on Flipkart. The same phones are now going on sale as the Asus Days sale on Flipkart from 9 January to 11 January. Let's start with the newcomers: the ZenFone Max Pro M2 and ZenFone Max M2 are up for sale with no-cost EMI options through credit as well as debit cards for a period of three or six months, but there's no discount. The two phones will also come with a 'Complete Mobile Protection Plan' which is worth Rs 1,299 but will be available for Rs 99. The Zenfone Max M1 will also be sold with the same offers and zero actual discount. Each variant of the remaining phone will see a Rs 1,000 discount. The Asus Zenfone Max Pro M1 will retail at Rs 8,999 for the 3GB RAM and 32 GB storage variant, Rs 10,999 for 4 GB of RAM and 64 GB storage and Rs 12,999 for 6 GB RAM and 64 GB storage. 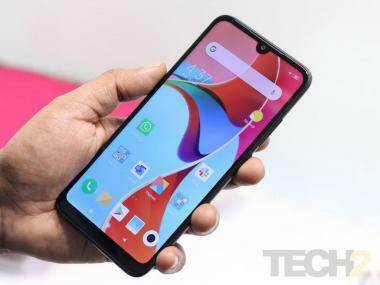 For the Zenfone 5Z, the device will be up for sale at Rs 24,999 for 6 GB RAM and 128 GB storage variant while the 8 GB RAM and 256 GB storage variant will be available at Rs. 28,999. The most affordable smartphone from Asus Days sale line-up, Asus Zenfone Lite L1, will be up for sale at Rs 4,999.